I did a minor in Creative Writing back at university and then put creative writing aside for many years although I work in PR so write for a living anyway . I started writing creatibely again when I did a course at the NSW Writers’ Centre – Write a Novel in a Year and I haven’t looked back. 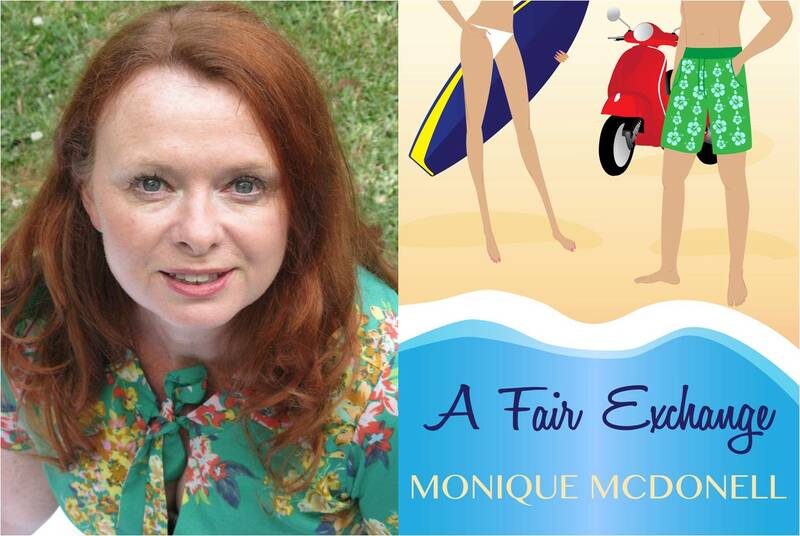 Tell us about A Fair Exchange and what inspired this novel? This novel is about a woman who was an exchange student and meets up with the boy who broke her heart years earlier when she was a teenager. I was an exchange student myself and this book is an homage to the people I met during that period of my life. I’ve been reading some Melissa Foster books lately. I have Australian authors Sarah Belle and Ainslie Paton next on my to be read pile. To ride in a hot air balloon is on top of my list. I think our relaxed lifestyle and our “she’ll be right, mate” attitude is wonderful, we’re laconic optimists which I love. It would be remiss of me not to say that our beach culture is another thing I love, I’m at the beach almost daily year-round to walk or write or meet friends and I feel so lucky to be able to do that. I want readers to know that the romance genre is broader than they probably imagine. There is something in the romance genre for everyone for example Pride and Prejudice is a romance and A Fault in Our Stars is a romance. Romances can be funny, heartbreaking, breathtaking and suspenseful. I like romances because life is really all about love and relationships and so are romance novels. I have a big year planned. I have two books coming out in my Upper Crust series in February and March and then two more in the latter part of the year. And I will also have two other novels and a Christmas novella out during the year. I completed four manuscripts in 2014 which sets me up well for the year ahead and I published two books. I felt like I was treading water but when I look back I guess I was really swimming.